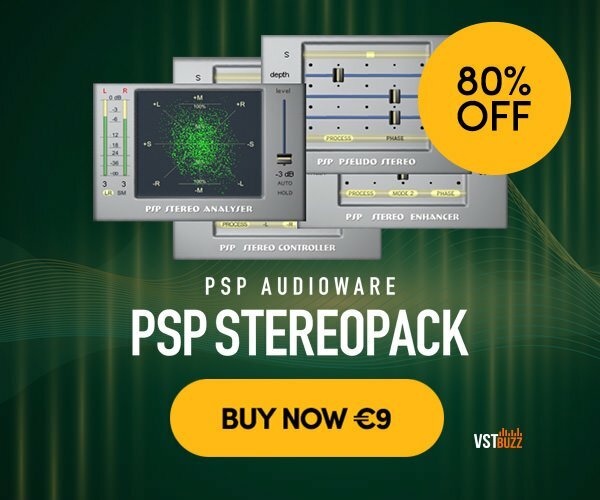 VST Buzz has launched a sale on the PSP StereoPack, offering 80% off on the collection of 4 effect plugins by PSP Audioware for the next two weeks. “PSP StereoPack” is a collection of four plug-ins that will help expand and control your stereo mixes in new and creative ways. It includes a stereo waveform and phase correlation scope plus a highly useful stereo simulation algorithm. This bundle contains fantastic tools for sound engineers who are involved in mastering and for owners of home recording studios. It can be used to achieve interesting spatial effects in your mixes or for adding that final touch to a master recording! PSP PseudoStereo: Pseudo-stereo encoding while recording, mixing and re-mastering mono tracks. PSP StereoEnhancer: Enhance stereophonic space while recording, mixing, mastering and re-mastering single or multiple stereo tracks and mixes. PSP StereoController: Eliminate stereo errors during mastering and re-mastering stereo tracks. PSP StereoAnalyser: Analyze of stereo image properties while recording, mixing, mastering and re-mastering of stereo tracks. PSP StereoPack is on sale for only 9 EUR until April 30th, 2019. 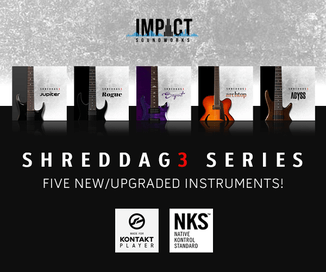 The plugins are available in VST, AU, RTAS and AAX formats.